With over ten years of experience in graphic design and illustrations, I absolutely adore creating bespoke illustrated invites for couples. My illustrated wedding invitations are perfect for couples looking for romantic, whimsical and highly personalised wedding stationery motif to send to excited friends and family. I have a a choice of venue illustration, character illustration or sketch style design to choose from, so you’ll find the perfect design for your wedding. 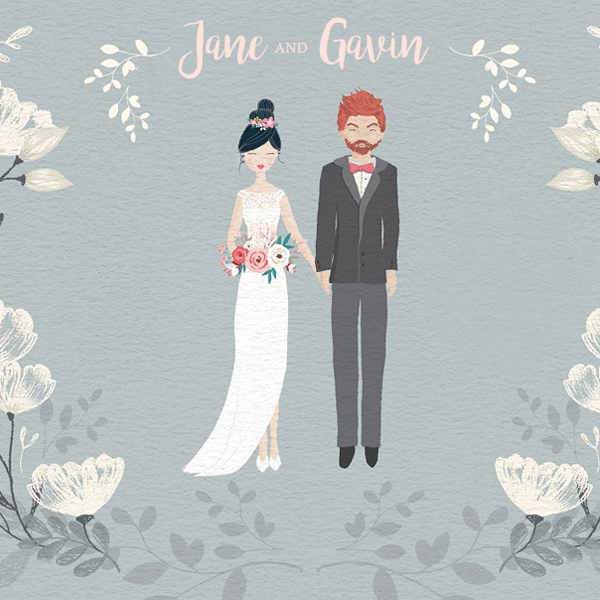 You can customise your illustrated couple wedding invitations further choosing the invitations to be printed in an extensive range of colours, including bright primaries, soft and romantic pastels, and earthy and natural neutrals. Our range of embellishments will complete the look of your hand drawn wedding invitations and ensure you have beautiful and truly bespoke wedding invitations to send out. If you’re looking for illustrated wedding invitations that will beautifully characterise you as a couple and/or your venue my designs will fit the bill. 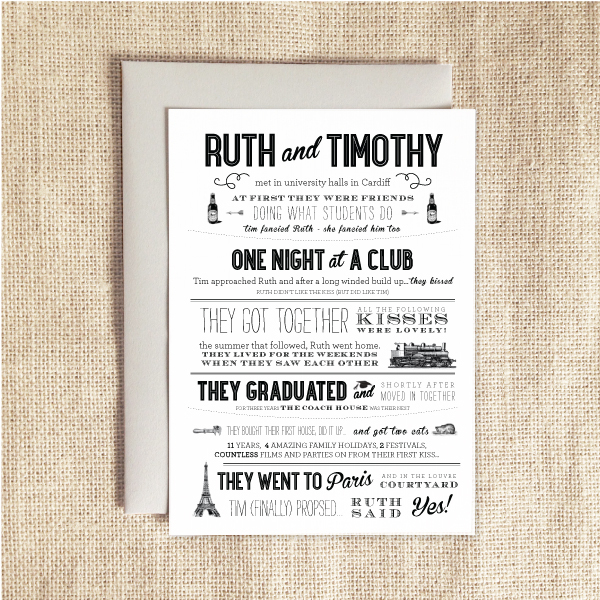 For more information about any of our hand drawn wedding invitations, simply email ruth@oliveweddings.co.uk today.